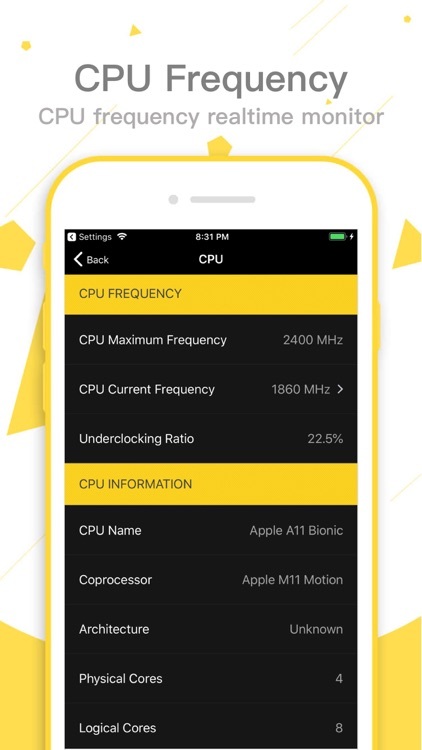 Measure real-time cpu frequency and frequency reduction,Free!Free! 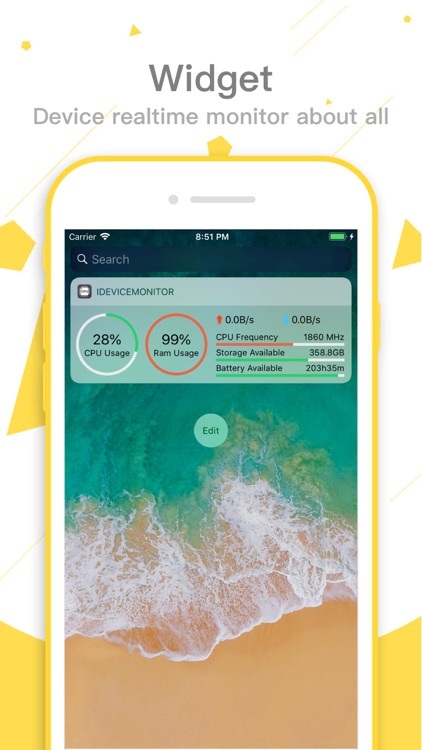 iDeviceMonitor providing you all information about your device - hardware, operating system, processor, memory, GPU, network interface, storage and battery, including visual representation in real time. 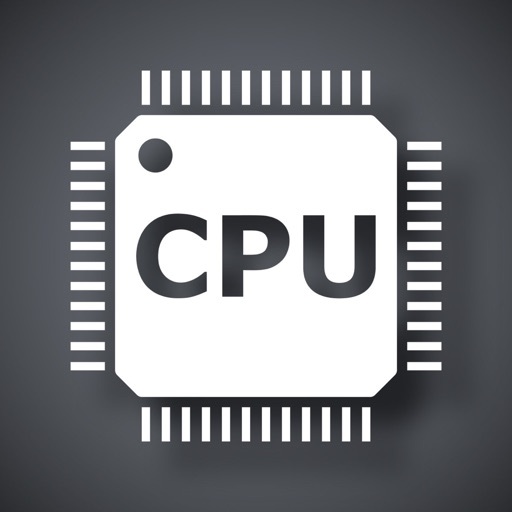 - CPU : Real-time frequency,Maximum frequency,Name,Architecture,Physical and logical core count,L1, L2 cache size,Endianess,etc. 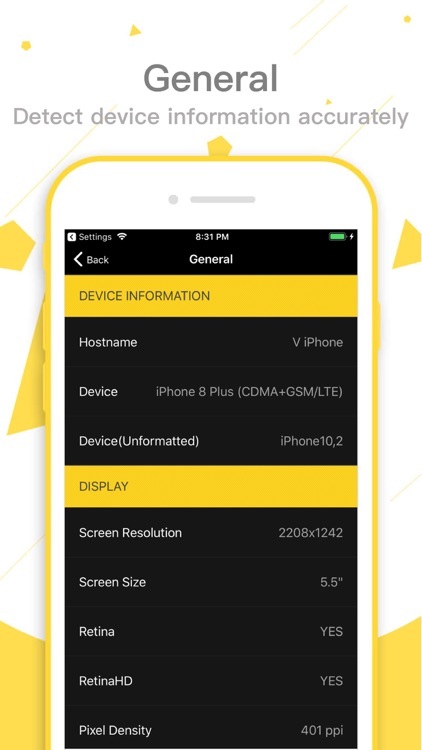 - Hardware information : Device name,Screen resolution,Screen size,Retina capability,Pixel density,Aspect ratio,etc. 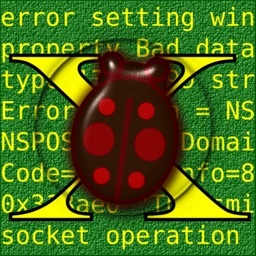 Operating system limits: processes, files, VNodes,etc. - RAM : Total memory,Memory type,Memory usage: wired, active, inactive, free.Page-ins,Page-outs,Page-faults,etc. 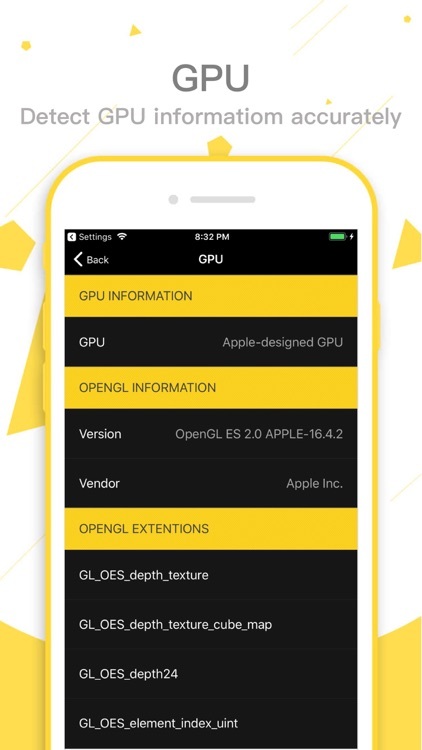 - GPU : Chip name,Supported OpenGL version,OpenGL vendor,Supported OpenGL extensions,etc. 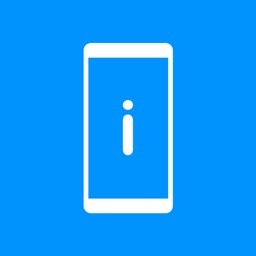 - Network : External IP,Internal IP,Netmask,Broadcast IP,Total WiFi and cellular traffic since boot,etc. 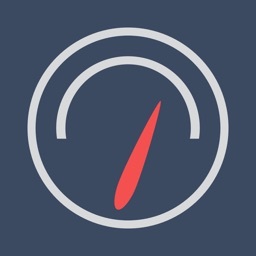 - Storage : Total available space on device,Free space,Used space,Number of songs,Number of pictures and total size on disk,Number of videos and total size on disk,etc. 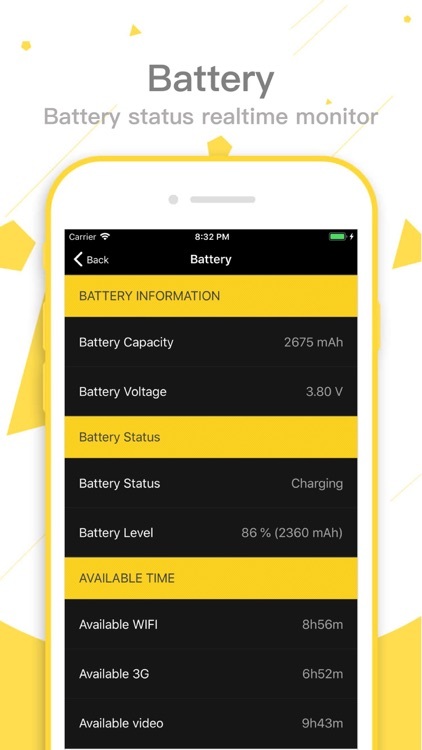 - Battery : Battery capacity,Battery voltage,Battery status,Current battery level,etc. 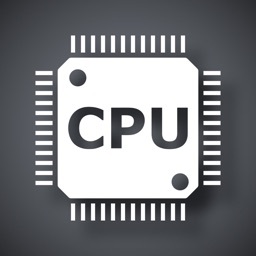 # Memory : Real-time analysis of system memory usage. 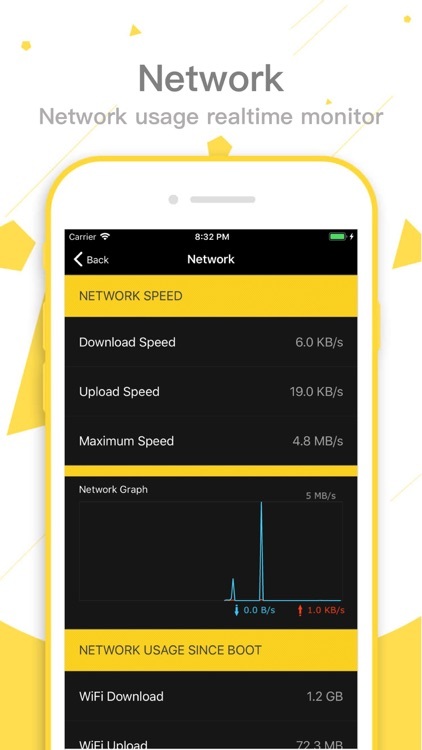 # Network : Real-time monitoring of network speed traffic. 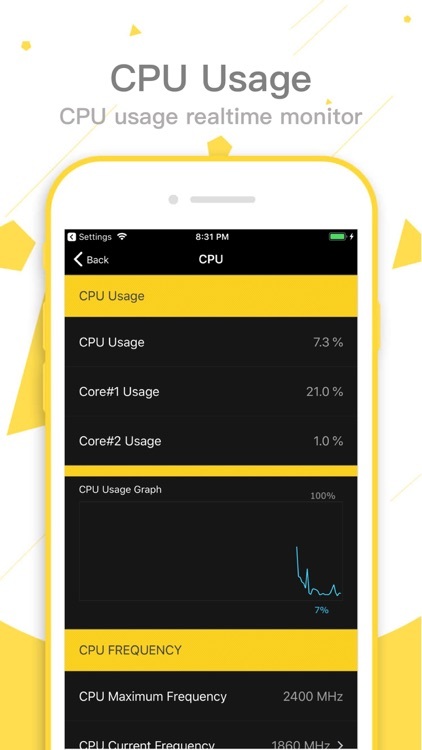 # Storage: Real-time monitoring of available space of the device. 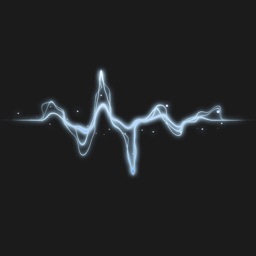 # Battery : Real-time monitoring of power and estimated available time. 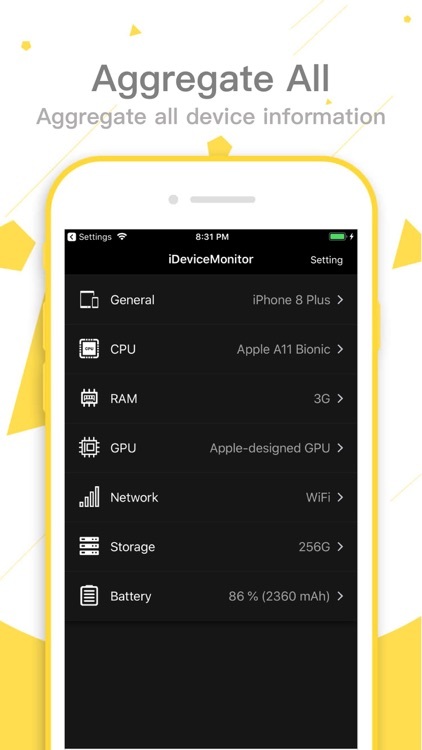 iDeviceMonitor is permanent free, please feel free to download and use!